Counteract dark circles and puffiness with the Caffeine Solution 5% + EGCG from The Ordinary. 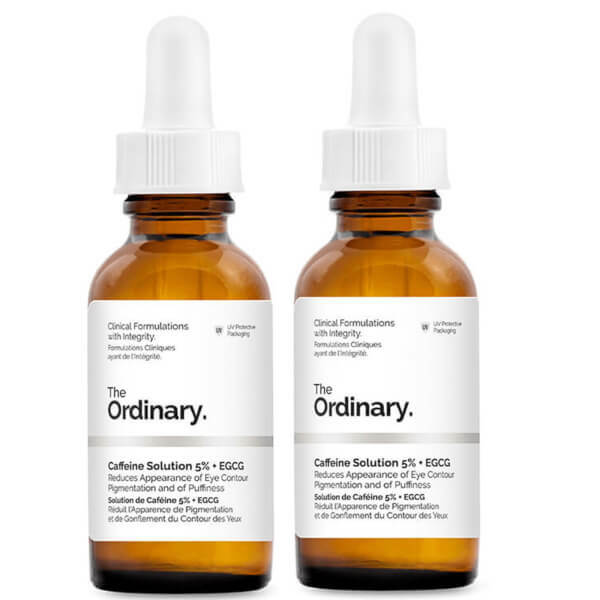 Delivering a highly concentrated dosage of Caffeine and Epigallocatechin Gallatyl Glucoside (EGCG) derived from Green Tea Leaves, the lightweight serum rapidly absorbs into the delicate eye contour to help reduce the appearance of discolouration and alleviate symptoms of fatigue and stress. Skin feels refreshed and lifted with enhanced hydration and a more even tone.